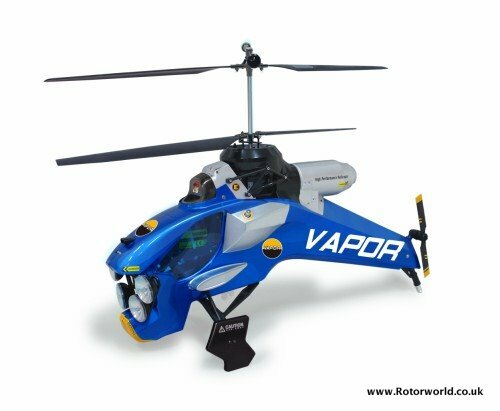 Based on a machine featured in the popular Japanese Manga comic books, the Vapor police helicopter was first seen on the Century UK stand at the Nuremberg Toy Fair back in February. This is an interesting new model that offers something a bit different. The Vapor has an unusual design of fuselage and includes various flood and flashing lights. It’s a bit of fun that capturing some attention at the Toy Fair. 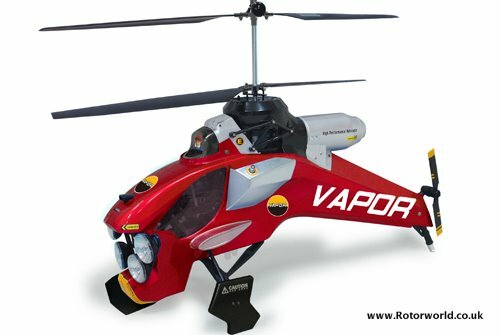 Now available from Century UK, the Vapor is a unique design of a futuristic search and rescue helicopter based on the famous Razor CX model that is well known for great flight performance and reliability. The model comes in blue or red and has loads of working lights fitted as standard. It uses a 2.4GHz radio system and is supplied complete and ready to fly. A great fun model that is easy to fly and will cause a sensation at the local club, the Vapor costs £189.99. 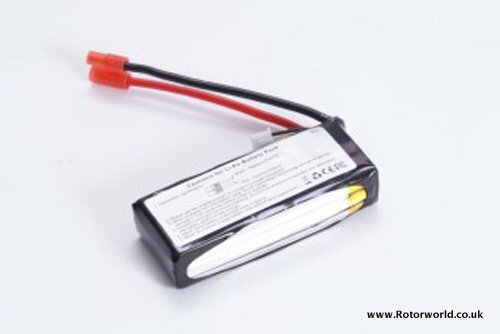 Spare batteries are available for the Vapor as it uses the same LiPo packs at the Razor CX. These can be bought separately for the reasonable price of £38.99.